Sampling 101 – Project based learning! A pioneering new approach that gets the students hands-on with one of the most powerful sound manipulation tools in Logic Pro X’s arsenal. In these tutorials, you will learn how to construct high-quality sample based soundscapes that can be incorporated into any composition. 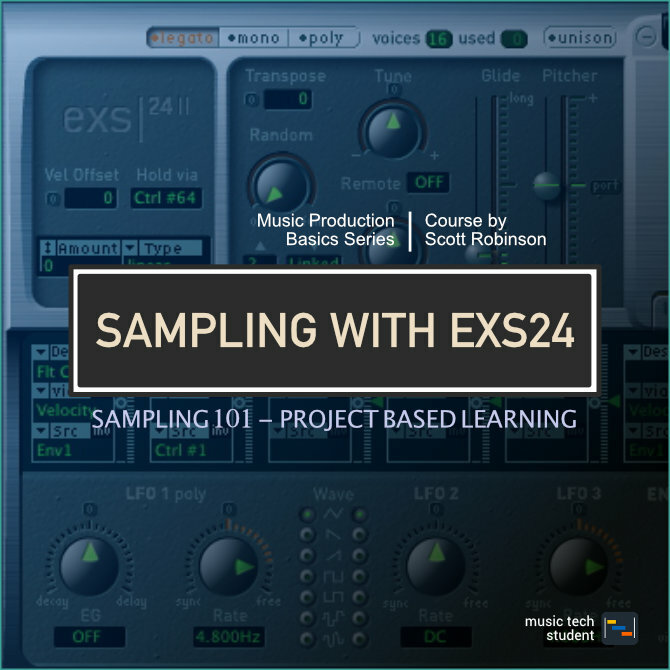 The EXS24 is the original sampler provided within Logic Pro, With a simple interface layout, it is easy to navigate once understood. Throughout these tutorials, we will guide you through the layout and show you how to make the most out of this powerful sampling tool. This will all be achieved with activities and tasks for you to complete as we move through the series.